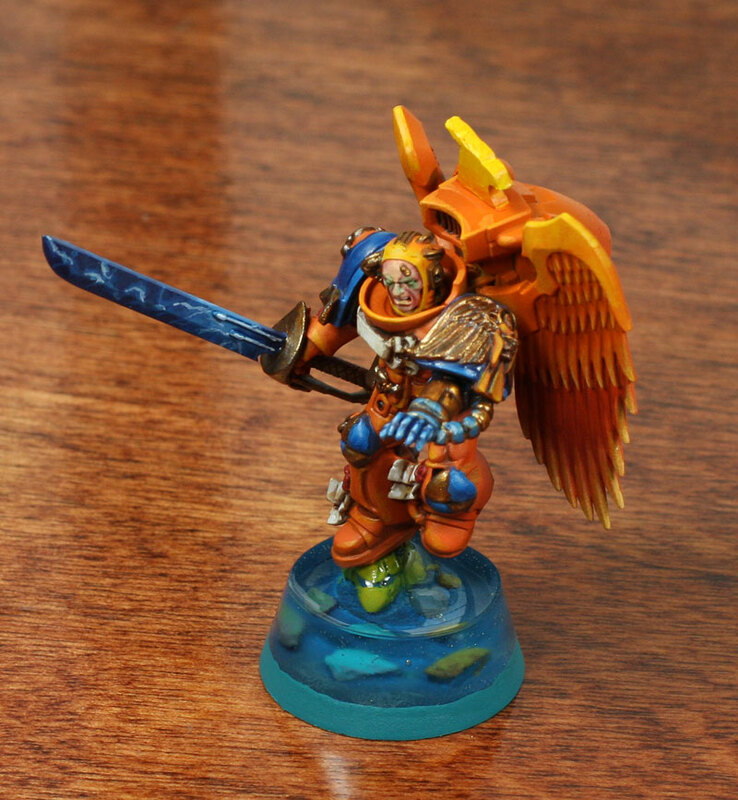 One suggestion for my Fire Hawk army was a deep blue color to contrast the predominance of yellow and orange. Immediately I thought of water basing. 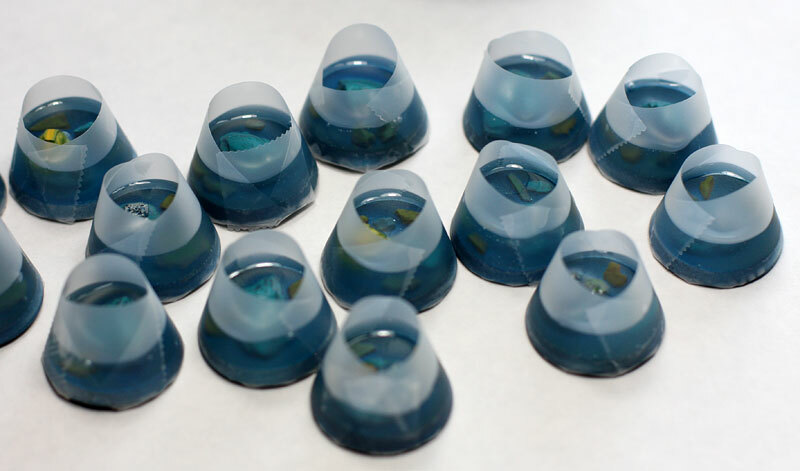 I've wanted to experiment with clear casting resin for a while and I finally broke down decided now was the time to give it a try. Before diving in, I did consult a few articles I'd been stockpiling for a while. 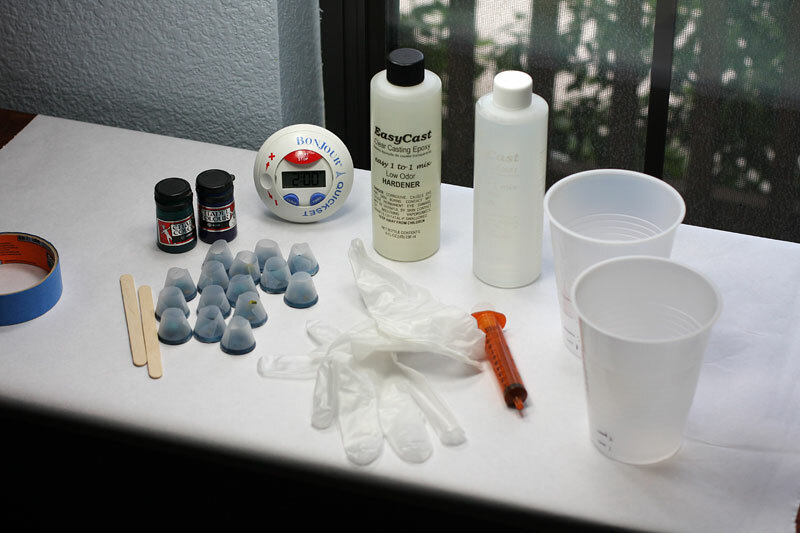 Mathieu Fontaine has a great tutorial on pouring resin completely over a diorama. 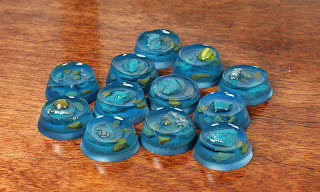 Hirst Arts also has a great Tips & Tricks page with lots of suggestions for pouring and texturing water. Woodland Scenics also has a cool video on using Water Effects for water texture. I haven't used it yet, but I'm definitely going to get a bottle of Water Effects for my Fire Hawks display board. BrushTralls also has a good tutorial for using just a little water on your base. But I live in Texas now, so I'm going big! All water or nothing. 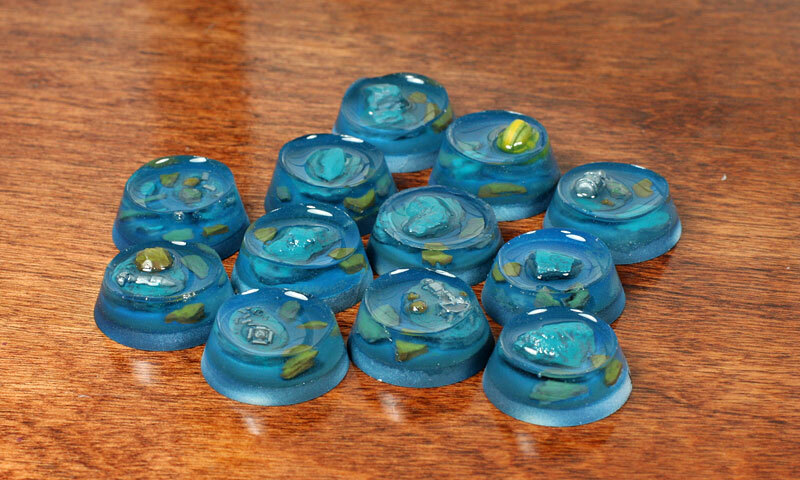 I was happy to find out that using the clear resin and creating water bases was actually quite easy. Here's what you'll need: tape, popsicle sticks, the bases, ink for coloring the resin, a timer, the clear casting resin itself (which I got at my local arts and crafts store), and two cups for mixing. 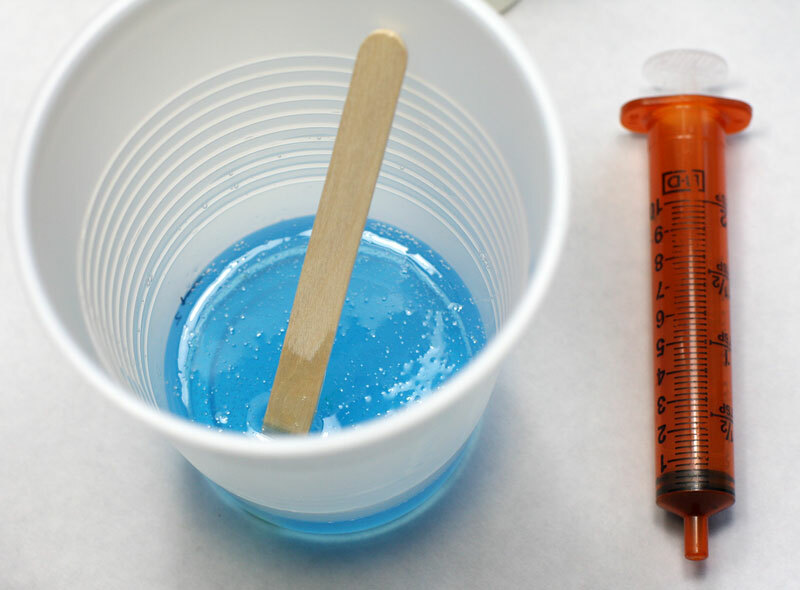 Since I was working with small bases, I also used a spare syringe to better control the amount going onto each base. First I took a raw plastic base and textured it with a few rocks and bits from the 40k basing kit and then gave it a little color. I tried to give each base a rock or other high point to use for attaching the model. (Usually I left this peak above the level of the final resin pour. Since I'm using all Assault, Vanguard and Sanguinary Guard legs, they don't look awkward standing on a single foot.) The bases where then ringed in scotch tape to twice the height I intended to pour. I originally tried to make them cylindrical, but I wasn't getting a good shape or seal so I taped right on the beveled edge of the base. I wasn't sure I'd like the conical shape, but in the end I wasn't disappointed. Make sure the tape makes a good seal all the way around the base. I found when removing the tape that it was much easier to remove the longer piece of tape that went all the way around rather than the bases I taped with a few shorter pieces. You also reduce the seam, which gives a cleaner final product. I also recommend cutting the tape with a hobby knife so that you get a clean edge. You definitely don't want to use the serrated cutter from the tape dispenser since that jagged tape edge will end up in your final resin product. 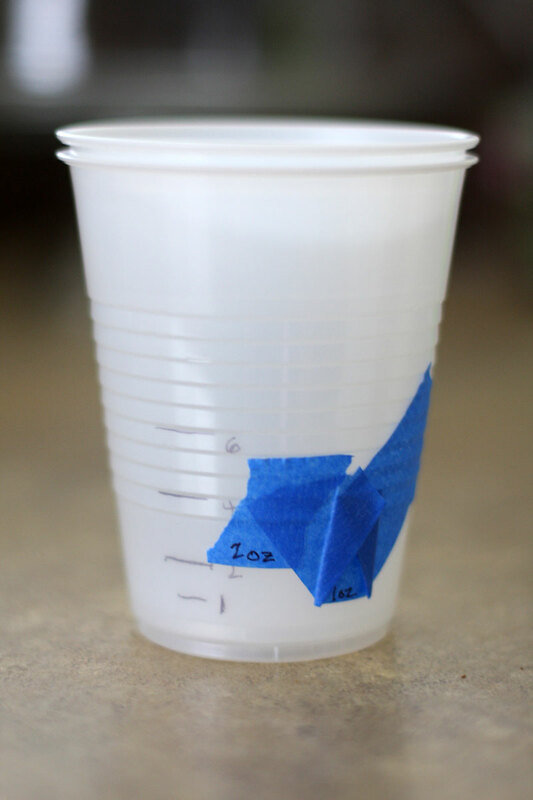 Here's a good tip from Hirst Arts: if you can't find graduated disposable plastic cups, nest two cups together an pour an ounce in the inner cup and then mark the outer cup. 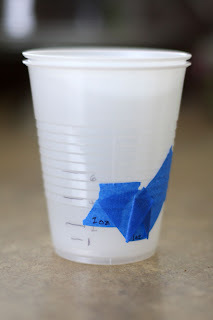 That way you don't have to mark all the cups you use (since you'll throw them away once they are used to mix resin). 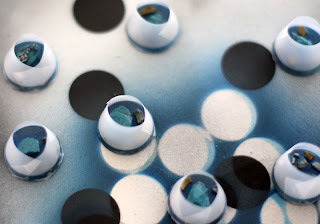 I also experimented with using the gloss medium to add some texture to a base. 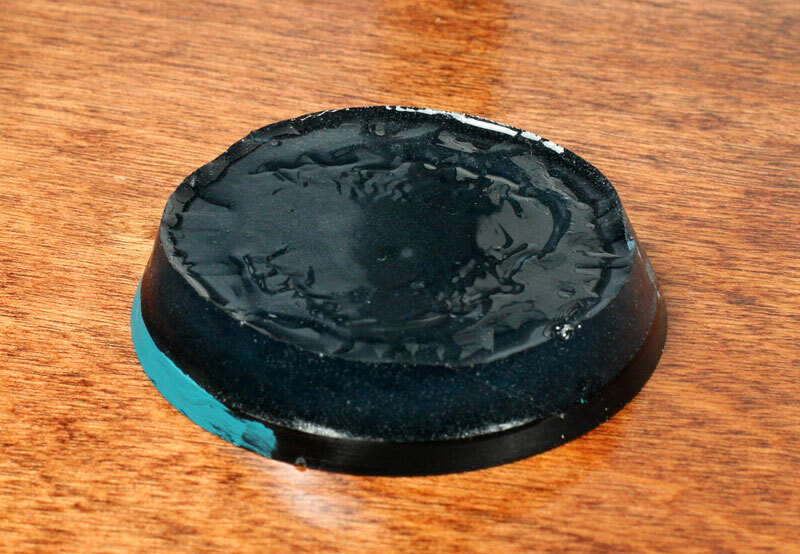 Here's a 60mm base I painted with a thick coat of gloss medium on the top. After letting it partially dry I blew down on the base to disturb the medium that hadn't dried yet. The effect isn't too bad, but a little time consuming. I think the Water Effects will be much easier, as soon as I can get my hands on it. 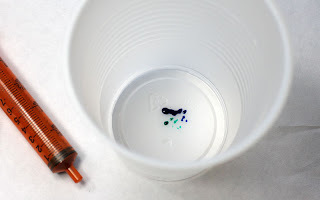 Have you used any water effects in your projects? If so, I'd love to see them in the Comments!